According to a recent NPD MusicWatch Survey, Apple’s iTunes store is the number one music seller in the US. The NPD survey credits iTunes with a 19 per cent share of the market with Wal-mart in second on 15 per cent and Best Buy in third on 13 per cent. Amazon has dropped down to fourth with a six per cent share, alongside discount retailer Target. When Arstechnica initially broke the story it based its article on a leaked internal email from Apple it had received. In response a number of tech sites set out to debunk Arstechnica’s claim that Apple was number one, claiming that Ars had got its figures muddled and made the call prematurely. In retaliation Ars posted up the leaked NPD documents for all to see claiming that it could only look at what was put in front of it. The documents have since been removed, apparently at the request of NPD themselves. Nonetheless they did appear to confirm Arstechnica’s claim that iTunes was number one. 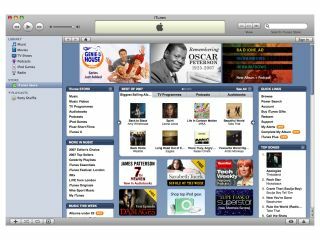 In any case Apple has since confirmed the report with a press release of is own in which Eddy Cue, vice president of iTunes, takes the opportunity to remind everyone that iTunes is still a relative baby before thanking iTunes customers. While Apple deserves credit for its achievement, the music industry might not feel quite so comfortable with the figures. While record companies continue to lament dwindling sales of physical CDs, they also need to wake up to the economic realities of a market that’s now driven predominantly by digital delivery. The cold harsh truth is that music simply isn’t worth what it once was. Rather like the price of tin over the past hundred years, its value as a commodity went into freefall the day someone first said the word ‘broadband’. It’s hard to see any way it can ever recover to its pre-internet value either. Not only that, people are also a lot more choosey about what they are willing to pay for too. There’s no obligation on anyone to purchase filler-heavy albums in their entirety just to get the ‘good’ songs anymore. In short, while digital resellers like Apple appear assured of a rosy financial future, it seems the music industry itself will never be able to return to in the ‘good old days’ when everyone was forced to pay inflated prices for pieces of flat plastic. The need for them to discover and exploit enterprising new business models is now more important than ever.